In 2015 Shareaholic released statistics about the state of social media in that day’s market. According to the site, social media had grown to be the number one referral traffic source on the web, overtaking email campaigns and direct advertising. In all, it was driving 31.24% of overall traffic on its own. During 2017, a controversial and aggressive year in online news and discussion, search overtook social media. But the social side is creeping back up, and it is clear that the importance of narrowing focus on social campaigns can’t be overstated. Attention span. Somewhat related to #1, social media traffic is mostly lurkers. They are in a hurry, vaguely interested in you, always willing to go back to whatever they are doing. It’s tough to prompt them to make a pause and start paying attention. Hard doesn’t mean impossible though. With the right tools and tactics, you can put that traffic to good use. 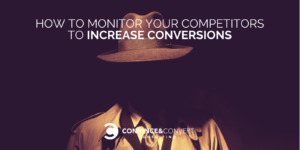 This article outlines one specific tactic to learn to convert your social media traffic: monitoring your competitors. When entering the niche, you are likely to know your major competitors well. Searching Google for your target keywords will give you even more ideas. When searching, make notes. Getting organized from the very start will save you lots of time going forward. SproutSocial has a neat spreadsheet template to help you get your competitors in order. Keeping a spreadsheet makes it more scalable: when expanding your team, you’ll be able to hand your data to new team members easily. You can extend the spreadsheet beyond social media and also note competitors with creative CTAs or link acquisition methods. The more integrated your spreadsheets are, the better because no marketing channel is an island. These days, everything from link building to conversion optimization can either help or destroy your end result. Tactic: Research your competitor’s navigational queries and build your social media promotions based on your findings. That huge brand that is taking up most of the market share? Those probably aren’t the guys you should be looking to take down. 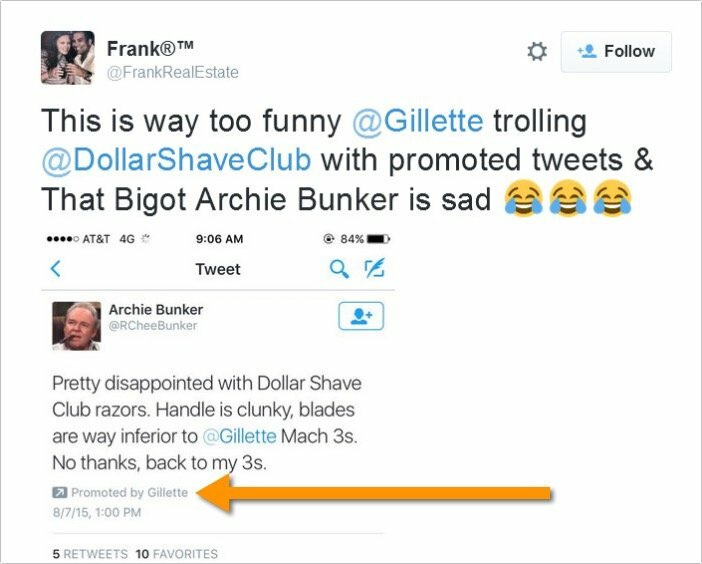 Their customers aren’t as likely to be looking for a smaller alternative, and anyway, the company has the money, reputation and force of influence to shut you down. It doesn’t mean you shouldn’t be paying attention. 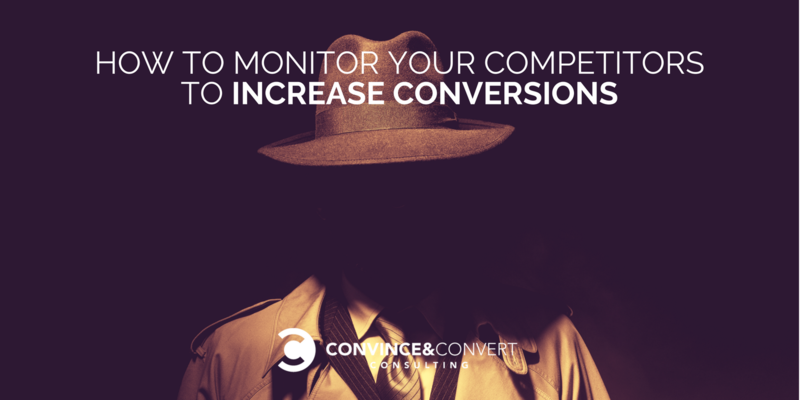 What your huge competitors can do for you is to provide data, LOTS of it. While it may not be that easy to use your own data yet (if you are starting out, there’s not much to analyze), your bigger, more established competitors are being searched and discussed every minute. Grouping your competitors’ navigational queries gives you an outline of topics to build your social media promotion around. Do you want to know what your competitors’ customers want most? See what they are searching for in Google. This type of research is the perfect first step to building your social media strategy. All you need to do now is to start addressing struggles and questions of competitors’ customers on your social media channels and you’ll have their attention! This is one of the most under-utilized, yet the most effective (from experience) tactics: Don’t just monitor your own brand and your own customers. Include your competitors’ customers too! 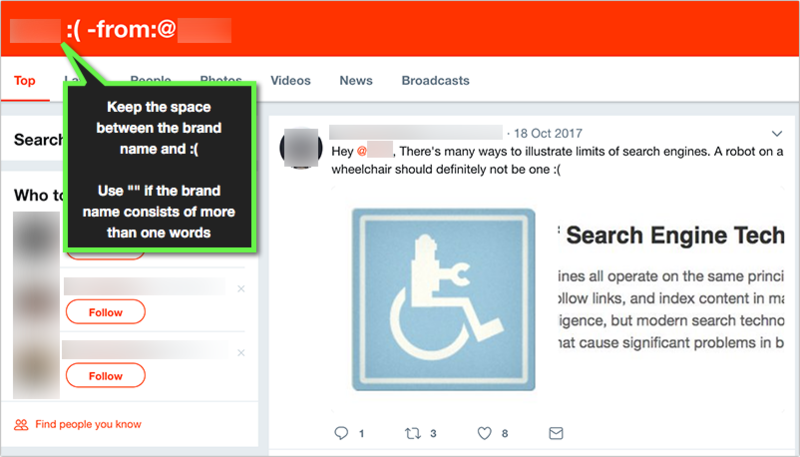 Now import this search to your Twitter engagement platform, and encourage your team to interact with each and every of them. No need to actually go ahead and offer your business as an alternative. Don’t oversell! Instead, be helpful and you’ll have much better results. 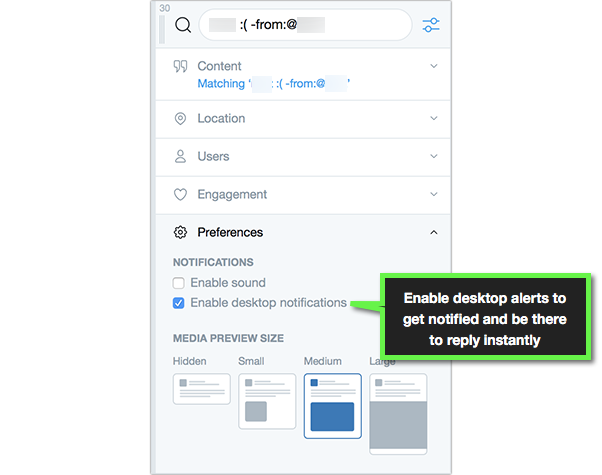 I use Tweetdeck for this because it lets me set up desktop alerts, so I am there immediately, much faster than the competitor. Timing is everything! 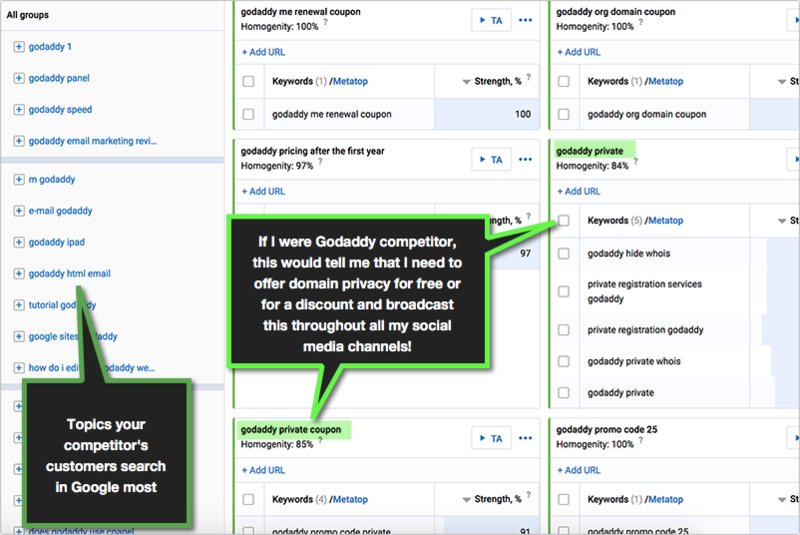 Tactic: Investigate your competitors’ Facebook business pages, and see what works best for them. Last but not least: use your competitor’s social media marketing successes for your own inspiration. There’s nothing bad in using others’ successful tactics—that’s what powers progress. 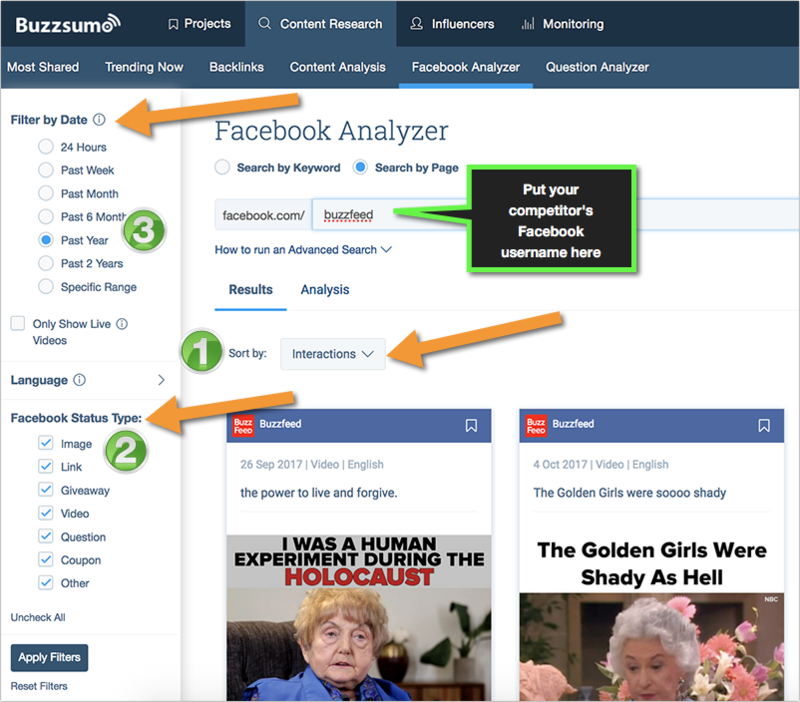 An easy tool to spy on your competitor’s facebook tactics and analyze them is Buzzsumo’s Facebook analytics tool. 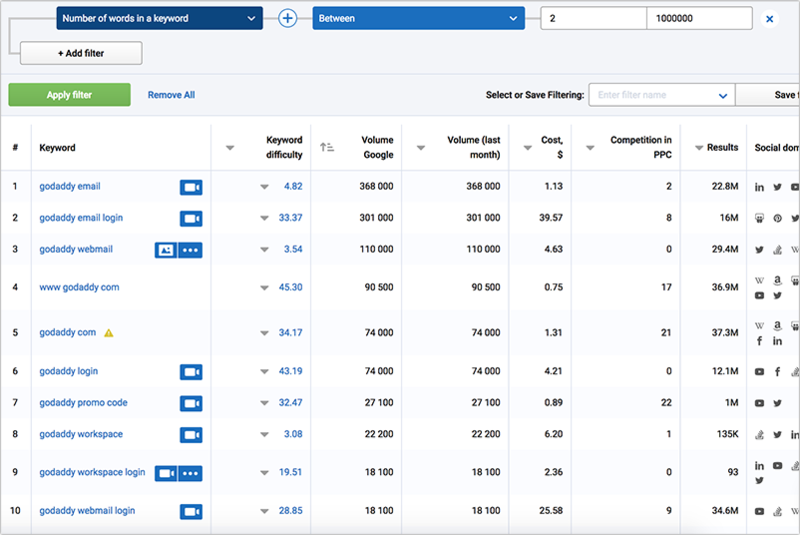 This tool will help you identify your competitors’ most engaging Facebook updates. You can use these to build up your own page engagement, and then use remarketing to get more out of your Facebook ads. 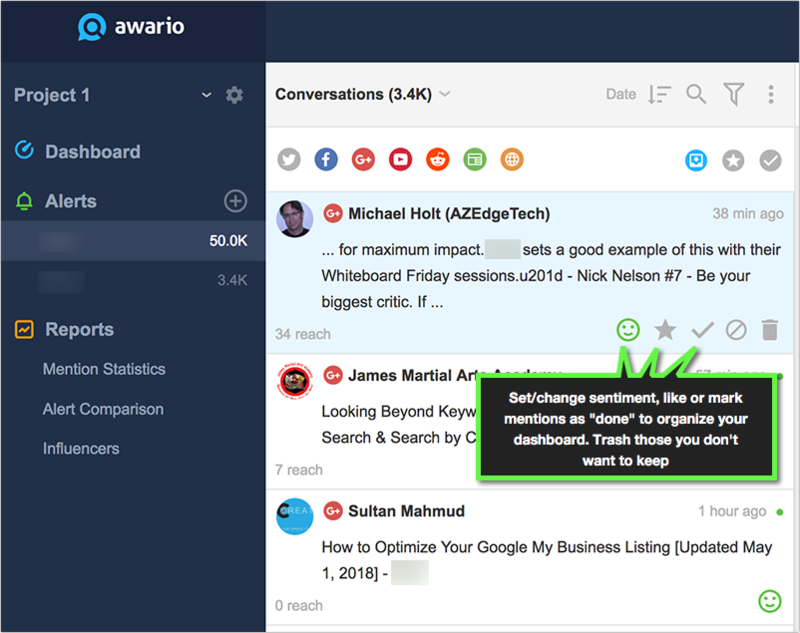 You can filter by type of content to see your competitors’ videos, giveaways, images, links, questions, etc. Now use these ideas to brainstorm your own updates, and put them into your own social media editorial calendar. These are just a few examples. I am sure using these ideas, you can come up with many more.